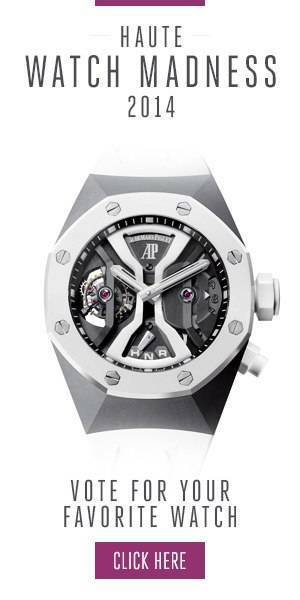 To celebrate Mexico, luxury Swiss watch manufacturer Hublot has joined forces again with famed French sculptor, Richard Orlinski, to create a green-hued Classic Fusion Aerofusion Chronograph Orlinski México. The green coloring symbolizes hope and independence, and is a tribute to the beautiful country, as it is one of the main colors in its flag. The timepiece is distinctly Orlinski, with its rocky, bevelled exterior and edges that reflect the light. Limited to only 30 pieces, one of the main attributes of the watch is the 12-faceted case in green ceramic. Orlinski used a three-dimensional cambering technique to achieve this aesthetic. The green, as mentioned, is one of the key colors in the Mexican flag, while other flag components are also prominently included on the timepiece. For instance, the second-hand on the dial is colored red, while the HUB1155 skeleton self-winding chronograph movement has the symbolic eagle and snake—symbolizing Earth and Heaven—as imagined by Orlinski. He also revealed a gorgeous statue, bearing the two animals, at SIAR in Mexico. For more information, please visit the brand’s website. All images courtesy of Hublot.